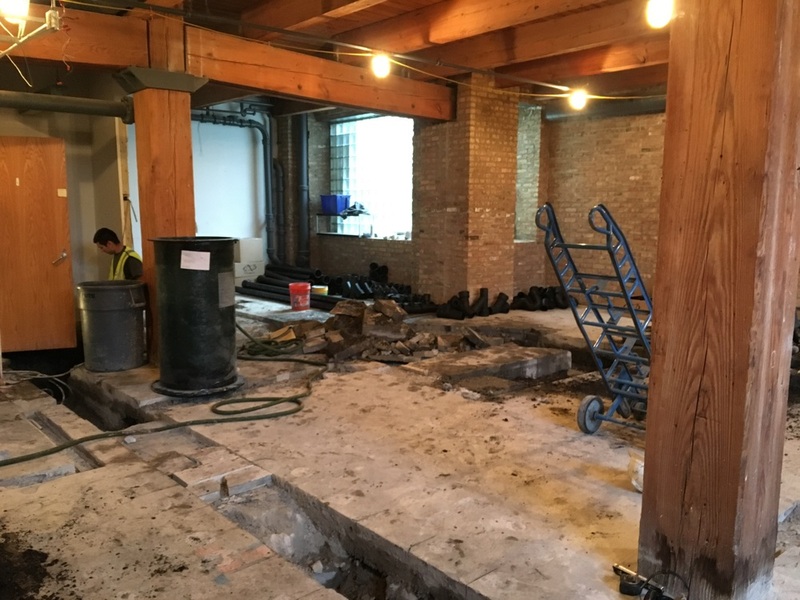 Lots of Plumbing at Float Sixty! Major milestone attained this week in our construction plan! Our General Contractor & Superintendent kept the plumbers laser focused moving earth and laying massive pipes to fit our five float/shower suite layout! We have six treatment rooms ready to rock - five of which are float rooms! On this Thanksgiving Day we are thankful for all of the hard work of so many people helping us bring our vision to life! What an epic feat! Images from the concrete destruction process!